There have been quite a few changes around the Nexus this year. With everything from a new editorial staff, different columns and even some fresh paint on our walls below Storke Tower, we decided it would be fitting if our paper followed suit. Today we launch our newest redesign. Maybe you’ve noticed our new masthead, our love of italics or that you can easily pinpoint the most interesting stories with the skybox above the nameplate. Thanks to our Layout Editor, Alex Cooper, we’ve got a sleeker, more informative and better looking paper. As for our content, there have been some great additions to our usual fare too. Be sure to tune in every Tuesday for our newest section, Science, which debuted this year. We’ll be taking full advantage of UCSB’s standing as a scientific powerhouse and keeping you informed about the cutting edge research taking place right here on your campus. And keep an eye out for our features section, launching soon. We’re excited to bring you a range of in-depth stories that I’m sure will keep you busy in lecture. In addition to our new look in print, we’ve also been working to revamp our online content this year. Check out our blog, the Daily Nexog, for columns tackling everything from politics to travel to health and career advice. 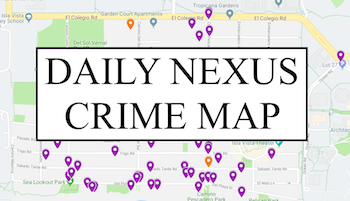 Bookmark us at blog.dailynexus.com or follow us on twitter at twitter.com/dailynexus for the latest news updates, snarky opinion pieces and Gaucho sports info. Last spring, we asked the student body to raise our lock-in fee to $3.85 from its previous 85 cents per quarter. With its passage, we’ve been able to bring back our Friday issues, but we’re still in a difficult financial situation. While the influx of money has allowed us to keep publishing and pay our student staff, we’re still heavily dependent on declining advertising revenue. Without your approval of our fee, we would be in much more dire straits. Thank you for your support, and make sure to let us know what you want from your campus newspaper. So here it is – our vision for the paper this year. We hope that we can continue bringing you everything you want from your campus rag, and remember that this is your paper too. 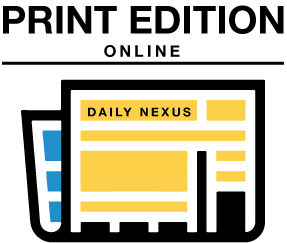 Send us letters, write a blog or give us some story ideas at eic@dailynexus.com or opinion@dailynexus.com. Let us know what you think!